No other regime in today's world is responsible for such premeditated and repeated acts of mass murder against entire modern societies. The US with its military allies, most notably Israel, is presently by far the greatest threat to peace and the greatest purveyor of terror on the planet. This is not debatable by reasonable people. The US-Empire's present preeminent position of brutal global thug is a self-evident truth based on hard facts regarding the magnitudes of death and destruction; counted in millions of lives, millions of refugees, and nation-wide obliterations of civil infrastructure, not to mention annihilations of national and civil institutions. US crimes do not diminish the importance of injustices perpetrated by non-aligned regimes, but there is an obvious asymmetry of magnitudes that simply cannot be denied. 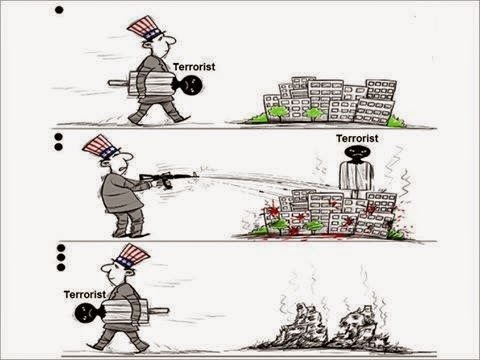 It is also apparent that the US-Empire's projects of nation destruction are strategic and premeditated. Having built an instrument for annihilating nations, it appears difficult for the US-Empire to not use it, irrespective of any moral or legal considerations. US "diplomacy" has become strictly an exercise in promoting its wars for geopolitical design. It is in this realistic context of a ferocious, rogue and barely-constrained superpower that we must understand Obama's emanations about ISIS as nothing but a pretext to "remove Assad". And "removing Assad" can only mean destroying the Syrian nation and its people because the Syrian army and the Syrian people stand together and overwhelmingly support Assad against the foreign invaders. 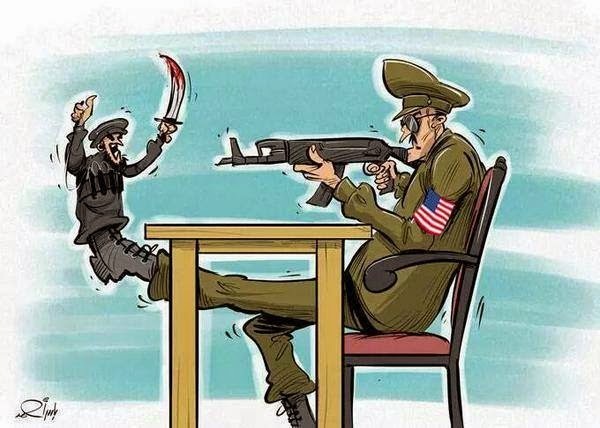 And now an element (ISIS) of the injected foreign rebels is used as a pretext for all-out war US-style. For Syria, this means complete annihilation of the national defence forces, and total destruction of civilian infrastructure to bring the population to its knees and lay siege to any resistance. Straight-up crimes against humanity as the modus operandi for "regime change", a la USA, followed by US corporation predation, territorial control, etc. Obama's ISIS project is nothing but a pretext to murder and destroy Syrian society. Dr. Denis G. Rancourt is a former tenured and Full Professor of physics at the University of Ottawa, Canada. He is known for his applications of physics education research (TVO Interview). He has published over 100 articles in leading scientific journals, and has written several social commentary essays. He is the author of the book Hierarchy and Free Expression in the Fight Against Racism. While he was at the University of Ottawa, he supported student activism and opposed the influence of the Israel lobby on that institution, which fired him for a false pretext in 2009: LINK. If only more articles about Syria, Libya, Ukraine, ... were written as well as this! This article has been re-published here.